Dry Treat has been manufacturing quality sealers for over twenty years. Dry-Treat began in 1991 by developing specialty sealers for the engineering industry in order to protect concrete structures against the harsh environments in Australia. 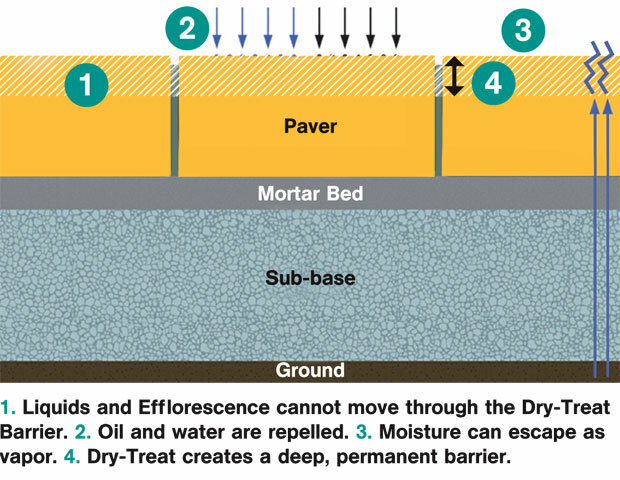 Over the last two decades, Dry Treat has perfected their molecular engineering technology to create a full line of innovative sealers for a whole range of products such as natural stone, pavers, and tiles. Throughout the world today, numerous bridges, high rise buildings, malls, stadiums and hundreds of thousands of homes are protected by Dry-Treat sealers. Dry Treat and their stone sealers provide premium protection from common threats such as efflorescence, graffiti, salt damage, staining, and mold growth. Their revolutionary products have made it easier for the average homeowner and experienced contractors to clean and maintain various surfaces that are found throughout their environments. Dry-Treat is committed to the development of innovative and high quality products and employees qualified engineers who understand the process of protecting building materials and use this think to pave the way for their revolutionary products. One of the biggest factors that set Dry Treat apart from their counter-parts is that their specifically engineered molecules penetrate deeper into porous materials and bond permanently inside the pores, without blocking them. This in turn creates a deeper barrier of protection within the natural stones, pavers, and tiles and not only protects them against staining but also protects them from natural elements such as sunlight and foot traffic. When Dry-Treat and their stone sealers are applied with a Dry-Treat accredited applicator, the material is backed by the companies 15year performance warranty against oil based stains. Dry-Treat carries a wide range of products that are meant to help clean and protect tiles. 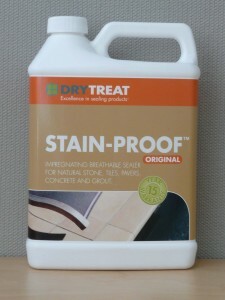 One of the most popular products is the Dry Treat Stain Proof. The Stain-Proof Original is an impregnating and breathable sealer that is meant to protect concrete, grout, pavers, natural stones and tiles from damage caused by oil-based stains, salts, and water. When materials have been treated with Stain-Proof original, whether exterior or interior applications, they inevitably become easier to clean and maintain. Dry-Treat Stainproof Sealer is suitable for a wide variety of applications such as building facades, floors, garages, kitchens, swimming pool surrounds and walls. Stain-Proof original is able to repel graffiti off of natural stone while making it easier to clean in the event of it actually taking place. One of the benefits of Dry Treat and their Stain-Proof Sealer is that it is only a penetrating sealer and doesn’t change the color and appearance of the surface. A 15-year performance warranty is offered when the product is applied by an Accredited Applicator following Dry-Treat’s written instructions and when the surface is maintained regularly. Meta Crème is the next generation of sealing technology that Dry-Treat has come up with for concrete, grout, natural stones, and tiles. Meta Crème Sealer starts working immediately on contact with the surface of the applied materials. Self-assembling components enter through the tiny capillaries that are present in all porous materials in order to deeply connect through a microscopic level with the subsurface of the material. The treatment that is achieved with Dry Treat Meta Crème becomes permanently part of the material itself and causes damaging liquids such as oil and water-borne salts to be ultimately repelled. 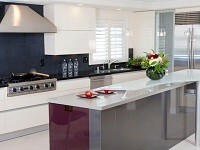 Some of the benefits of using Meta Crème are that treated surfaces are safe to be used with food elements. The easy one-coat application makes cleaning easier and keeps the surface of your materials looking newer for longer periods of time. The 15 year performance warranty that Dry-Treat offers is also extended with the Meta Crème as long as a Dry Treat Accredited Applicator is used. Dry Treat 40SK is an impregnating, invisible, and breathable sealer that is meant to protect porous tile and grout against damage caused by salt and water. 40SK is perfect for indoor and outdoor usage for it provides a long lasting protection while keeping the original look and feel of the material is has been applied on. 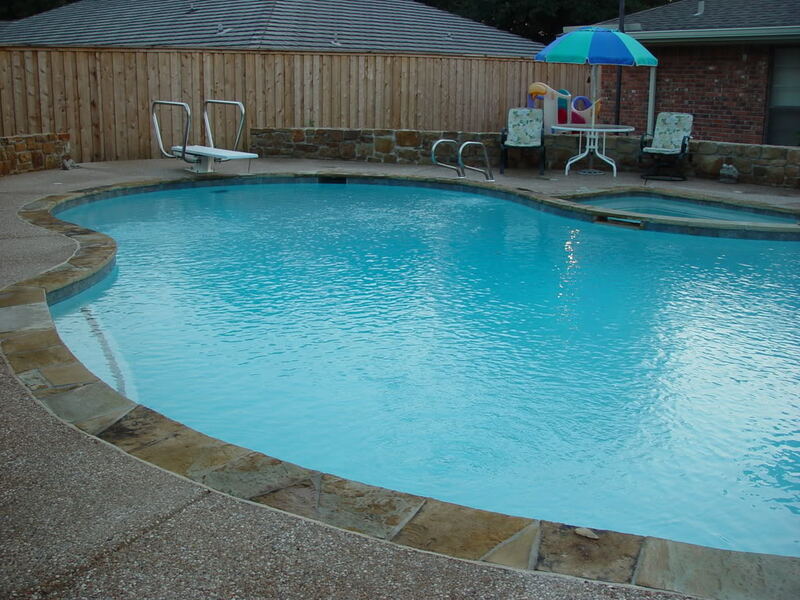 Dry Treat 40SK is extremely useful when it comes to exterior applications around a salt-water pool for it allows the material to breathe so that there is no build up of subsurface moisture, allowing the stone to dry out. Since the 40SK is meant to greatly reduce water uptake, and minimize moss growth, it is very alkali resistant and wont breakdown in contact with any cement based materials. DryTreat 40SK is also able to seal hairline cracks up to .3 mm and does not peel or flake off. Dry-Treat 40SK must be allowed to cure for at least 3-4 weeks in order to achieve the extent of the depth penetration and strength of the 40SK material. The DRY-TREAT 40SK has specifically designed molecules that migrate through the pores of the porous materials and over time become more water-repellant. At the same time that the material is becoming more water-repellant, the treated material forms a network inside itself which helps to consolidate and strengthen the overall material. 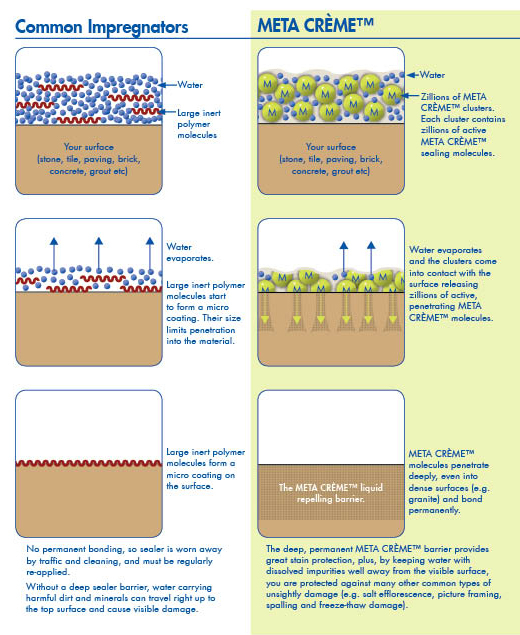 As you can see, the Dry-Treat 40SK is designed to be used on very porous surfaces in salt water environments, but can also be used as a penetrating water repellant. Since more and more individuals are now creating salt-water pools in their homes, the 40SK sealer becomes the ideal material to use on the stones that surround the pool. As you can see, Dry Treat Stone Sealant is an ideal product for the various natural and porous materials that you may have throughout your home. When looking for a stone sealant, it is always important to keep in mind the various materials that you have in order to select the proper sealant for its composition. Granite sealer for instance can vary depending on the brand and the overall usage, commercial versus residential traffic. Dry-Treat Meta Crème is our recommended granite sealant for its superior quality and breathability makes it the ideal sealer to use on that type of material. 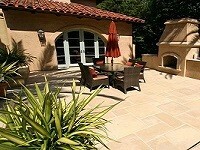 The Dry-Treat company has a wide variety of sealers and cleaners that are ideal for exterior and interior application. The versatile variety of sealers that Dry-Treat carries ranges from their Enhance-Plus sealer which is meant to enhance the color of a natural stone while sealing it as well. The Dry Treat Oxy-Klenza, a powerful oxygen based cleaner that is great as a multi-purpose cleaner for bathrooms, cladding, kitchens, and entertaining areas. Oxy-Klenza breaks down organic stains and soiling through its powerful alkaline composition. One of the great benefits of Oxy-Klenza is that it is perfect throughout the entire home for tough dried-in stains such as grease, mold and even leaf marks on a driveway. Please make sure to stop by our Award Winning Los Angeles tile showrooms for all of your Dry Treat needs. We carry the full line of Stain-Proof, Stain-Proof Plus, Hanafinn, Rejuvenata and Oxy-Klenza in stock plus much more. You will see that Dry Treat Reviews are sure to come up with nothing but positive things to say about their wonderful products and great stone cleaner. Make sure to give us a call if you have any questions about availability and suitability on any of the Dry Treat products.